Tawasol Egypt. "Round and round we go again" crochet bag with leather handle. 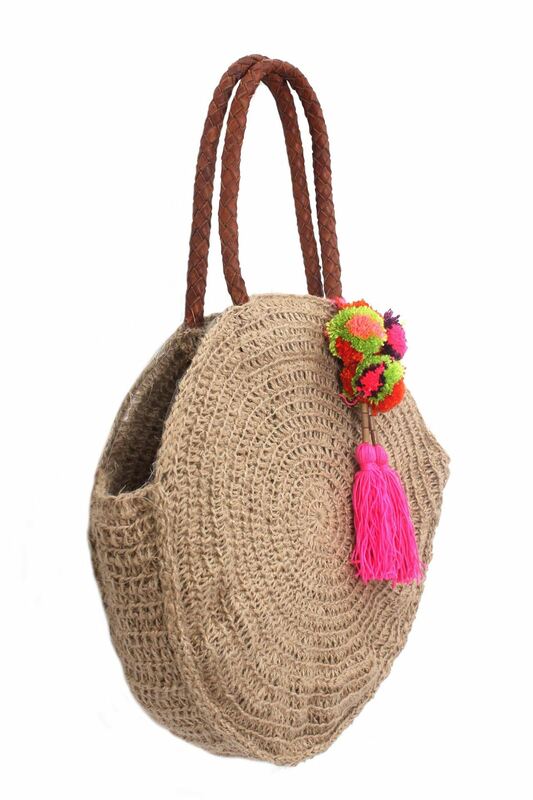 A pop of color is always a good idea with our handmade tassel and pompoms.